Never again sacrifice premium audio for your travels again. Instead, go for the Lenovo 700 Ultraportable Bluetooth Travel Speaker. While many products claim to be ultra portable, this one truly is. 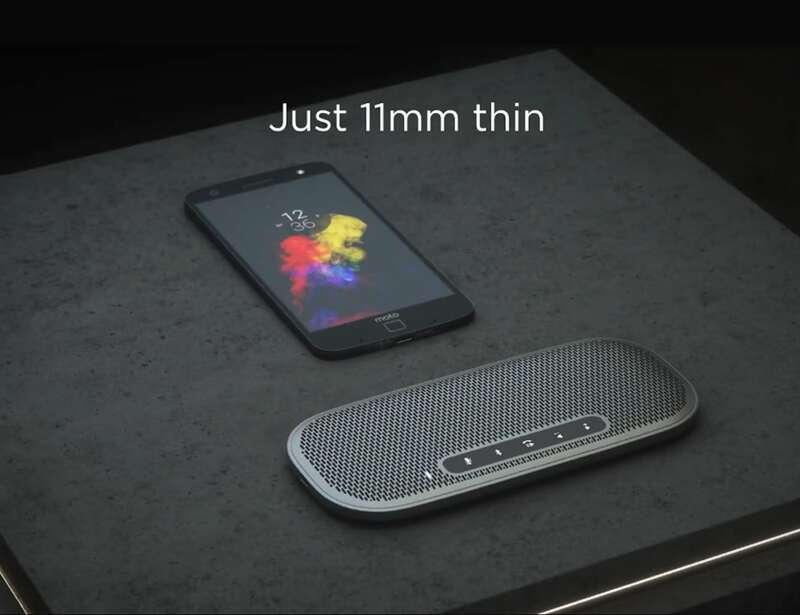 In fact, the 700 Ultraportable Speaker measures just 11mm thick. Yes, you read that correctly. The speaker is virtually flat in design, meaning you can slide it into your bag or pocket or just about anywhere else – it could even fit in the airplane seat pocket in front of you. On the front are five buttons for straightforward manual controls. You can also use the speaker to take calls, making it great for work trips. Finally, the entire speaker is splash-proof to suit all your needs. Finished with a lanyard for easy carrying, the battery lasts a full eight hours.